Rio Rindy | Vision Research Park, LLC. Rio is an agronomist at Vision Research Park in Parshall, ND. Drawn to his career by the growing agriculture industry and its never ending possibilities, what Rio enjoys most is scouting, meeting with growers, and making recommendations. He started with Vision Research Park nearly five years ago. Rio couldn’t ask for a better crew to work with! 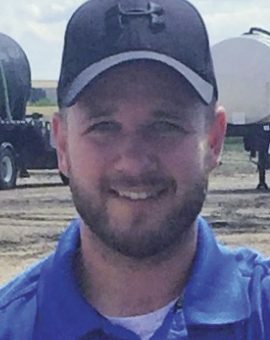 Rio has an associate’s degree in Agriculture Industry and Technology from Bismarck State University and interned with the Winfield Answer Plot Crew conducting research plots.